To już 15 lat North Fish! | North Food Polska S.A.
“From a human point of view, we are at the unruly teenager stage. From a business point of view, this is quite a mature business. Opening the 40th North Fish restaurant in Toruń was our way of giving ourselves a birthday present. With 15 years’ experience behind us, we are the leader in the Polish market of restaurants offering fish and seafood. We also play a significant role in the European market as this is a strong position. In just over a years’ time, we will be opening our 50th restaurant which will be another reason to celebrate. Cause for daily joy is when people choose the meals we offer from among the many others available; our fish, seafood, wonderful lemonade and the vegetarian option. Thank you for the past 15 years and we look forward to spending the next together,” said Tomasz Rurarz, Marketing & Business Development Officer. Over the last 15 years, North Fish has become the largest Polish restaurant chain, and the third largest in Europe, offering fish and seafood. At this moment in time, North Fish has 40 restaurants in the best shopping centres all over Poland. North Fish is a chain of restaurants specialising in fish and seafood. The first was opened in 2002 in the Galeria Echo shopping centre in Kielce. 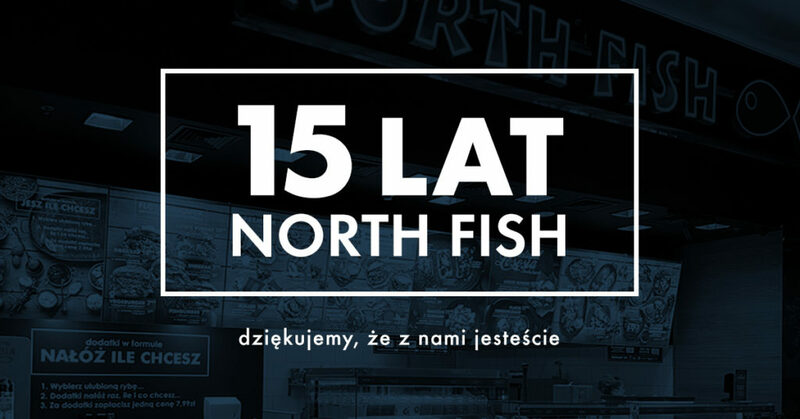 Currently North Fish operates 40 restaurants located in Poland’s best shopping centres, which makes it the country’s unquestioned leader and Europe’s third largest, chain of restaurants offering fish and seafood. Each day nearly 1,000 employees take care to ensure the highest quality of the products served.